Mumbai, India (BBN) – The NSE index fell 0.5 per cent, retreating from a nearly two-year high hit last week and snapping six consecutive sessions of gains, as banks retreated after a recent rally. The broader NSE index fell 42.8 points or 0.48 per cent to 8,896.7, after touching its highest since March 4, 2015 on Thursday, reports The Hindu Business Line. The benchmark BSE index closed 80.09 points or 0.28 per cent lower at 28,812.88. Investors remained cautious ahead of Q3 GDP data to be published on Tuesday. Traders were also wary ahead of US President Donald Trump’s speech to a joint session of Congress on Tuesday night, where he is expected to unveil some elements of his plans to cut taxes. Among BSE sectoral indices,banking index fell the most by 1.39 per cent, followed by auto 0.99 per cent, power 0.81 per cent and PSU 0.69 per cent. On the other hand, oil & gas index was up 0.69 per cent, healthcare 0.27 per cent, IT 0.22 per cent and consumer durables 0.11 per cent. Top five Sensex gainers were Reliance (+4.79 per cent), HUL (+0.95 per cent), Wipro (+0.93 per cent), Lupin (+0.6 per cent) and Coal India (+0.37 per cent), while the major losers were Axis Bank (-3.37 per cent), Power Grid (-2.99 per cent), Bharti Airtel (-2.47 per cent), ICICI Bank (-2.16 per cent) and L&T (-1.62 per cent). Banks have taken a hit following a six-session rally after a media report said that the oil ministry received several complaints over the past few weeks, claiming banks were still imposing fees on debit card transactions for fuel despite a clear instruction from the government not to do so. The NSE Bank index fell nearly 1 per cent with Axis Bank down 2.7 per cent and Bank of India shedding 1.6 per cent. Meanwhile, Reliance Industries rose as much as 6.3 per cent to its highest since May 18, 2009 after telecom unit Jio said last week it would start charging for its services in April after offering them for free for seven months. GMR Infrastructure Ltd rose as much as 7.4 per cent to its highest since January 6, 2016 after the company said it had completed strategic debt restructuring of a unit, leaving its consortium of lenders with 52.4 per cent stake. Asian shares stayed below 19-month highs with caution setting in ahead of US President Donald Trump’s speech to a joint session of Congress on Tuesday, where he is expected to unveil some elements of his plans to cut taxes. “Investors await key events such as Trump’s speech as well as comments from Federal Reserve officials later in the week,” said Anand James, chief market strategist at Geojit Financial Services. 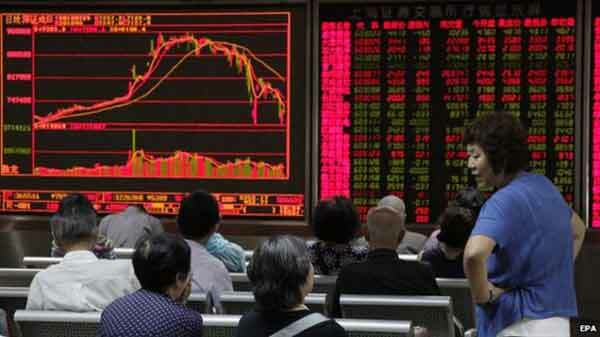 MSCI’s broadest index of Asia-Pacific shares outside Japan was flat after declining 0.3 per cent in early trades. Japan was down 1.2 per cent, and Australia off 0.2 per cent.